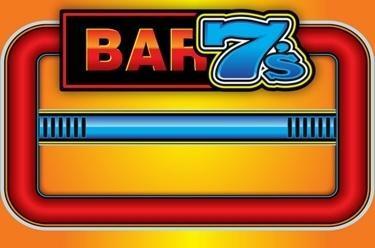 Play Bar 7’s online for free now! 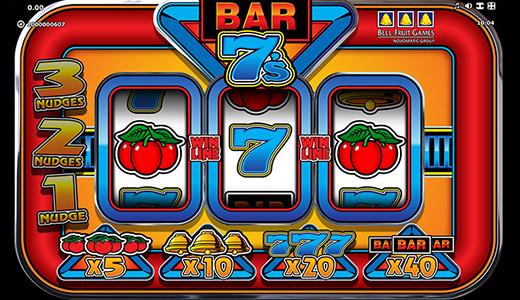 3 reels, one line, 4 symbols - your winning cocktail at Bar 7’s is simple and clear but comes with spectacular winning chances: All you need is 3 identical symbols along a win line! And there's more: Our features will also give your luck a helping hand - as soon as they are activated, you can stop or readjust the reels to win big with one of the 4 winning combinations! Your aim: Land 3 identical symbols along a win line. With 3 ‘BAR’ symbols you win 40-fold, three ‘7’s win you 20-fold, 3 Bells win you 10-fold and 3 Cherries win you 5-fold your stake. Whether you win or not, the game can activate the Hold-function for you at random in which a combination of 2 or 3 symbols is automatically held and you get a free spin. The Nudge feature gives your luck a second chance: If a spin was unsuccessful, the game can randomly activate this feature. If this is the case, you can once again move the individual positions by nudging the reels up to three times. If you have not achieved the best reel position through your manual correction, the game automatically corrects to the optimal position. Alternatively, you can also bring all reels into the best possible position by clicking ‘Start’.